Boeing and Air Lease Corporation (ALC) announced they have finalised an order for eight more 737 MAX 8 aeroplanes, valued at $936.8 million at list prices. 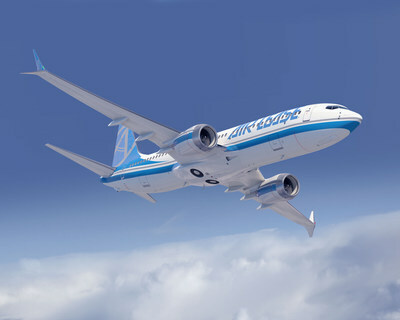 Air Lease Corporation (ALC), one of the world’s leading aeroplane lessors, has been a big buyer of the improved 737 aeroplanes. This new order raises ALC’s total 737 MAX orders to 138. “These aircraft perfectly fit ALC’s and our airline lessees’ growing need for additional 737 MAX 8 aircraft. Our success in MAX placements to date speaks to the strong market demand for these aircraft,” said John Poerschke, Executive Vice President of Air Lease Corporation. Boeing has delivered more than 100 737 MAX aeroplanes to over 20 customers worldwide, including four to ALC, with the fifth delivering in May 2018. The 737 MAX is the fastest-selling aeroplane in Boeing history, accumulating more than 4,400 orders from 96 customers worldwide. Next articleEurocontrol’s Enhanced Tactical Flow Management System failure – has restarted normal flow management operations.